Dr. Khattak Chairs the Transportation Research Board (TRB) Committee on Highway/Rail Grade Crossings (AHB60). This committee is concerned with the safety, economic considerations, traffic flow and delay, and countermeasures at highway/rail crossings including the proximate surrounding environment and rail transit facilities. Dr. Khattak received the UNL College of Engineering Faculty Service Award, 2016. 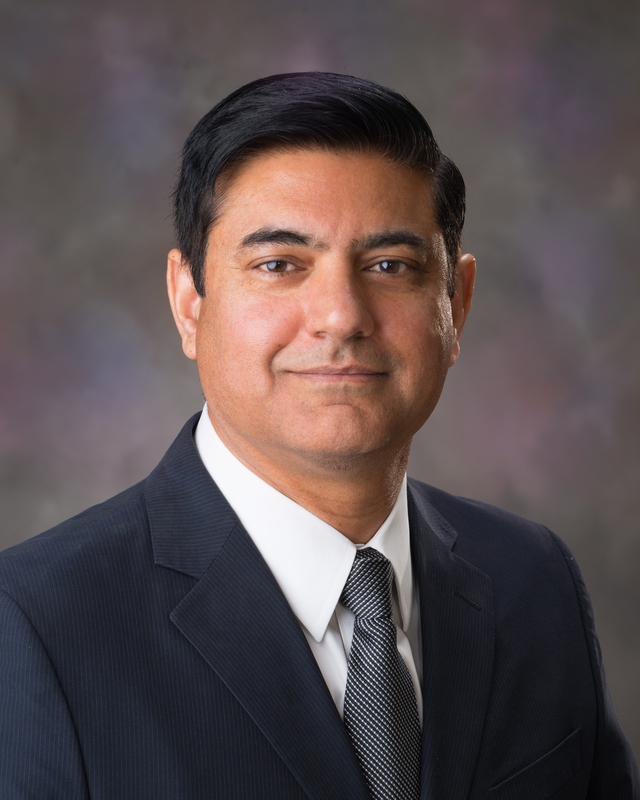 Dr. Khattak received the UNL University-Wide Distinguished Teaching Award, 2015. Chen, Shuyan, Yingling Fan, Yang Cao, and Aemal J. Khattak. Assessing the relative importance of factors influencing travel happiness. Travel Behavior and Society, January 2019 (https://doi.org/10.1016/j.tbs.2019.01.002). Kang, Yashu, Amirfarrokh Iranitalab and Aemal J. Khattak. Modeling railroad trespassing crash frequency using a mixed-effects negative binomial model. International Journal of Rail Transportation, November 2018 (https://doi.org/10.1080/23248378.2018.1550626). Iranitalab, Amirfarrokh and Aemal J. Khattak. Train-level and tank car-level modeling of hazardous materials release in railroad incidents. Transportation Research Record, Journal of the Transportation Research Board, October 2018 (https://doi.org/10.1177/0361198118801337). Zhao, Shanshan and Aemal J. Khattak. Direct and indirect effects of Nebraska motor vehicle drivers’ characteristics on inattentive driving at highway-rail grade crossings. Transportation Research Record, Journal of the Transportation Research Board, September 2018 (https://doi.org/10.1177/0361198118794067). Tang, Kun, Shuyan Chen, and Aemal J. Khattak. A spatial-temporal multitask collaborative learning model for multistep traffic flow prediction. Transportation Research Record, Journal of the Transportation Research Board, August 2018 (https://doi.org/10.1177/0361198118790330). Wali, Behram, Asad J. Khattak and Aemal J. Khattak. A heterogeneity based case-control analysis of motorcyclist’s injury crashes: Evidence from motorcycle crash causation study. Accident Analysis and Prevention, 119, July 2018 (pp. 202-214). Khan, Waleed A., and Aemal J. Khattak. Injury severity of truck drivers in crashes at highway-rail grade crossings in the United States. Transportation Research Record, Journal of the Transportation Research Board, June 2018 (https://doi.org/10.1177/0361198118781183). Iranitalab, Amirfarrokh, Yashu Kang and Aemal J. Khattak. Modeling the probability of hazardous materials release in crashes at highway-rail grade crossings. Transportation Research Record, Journal of the Transportation Research Board, June 2018 (https://doi.org/10.1177/0361198118780885). Zhao, Shanshan, Amirfarrokh Iranitalab and Aemal J. Khattak. A clustering approach to injury severity in pedestrian-train crashes at highway-rail grade crossings. Journal of Transportation Safety and Security, February 2018 (https://doi.org/10.1080/19439962.2018.1428257). Tang, Kun, Shuyan Chen and Aemal J. Khattak. Personalized travel time estimation for urban road networks: A tensor-based context-aware approach. Expert Systems with Applications, February 2018 (https://doi.org/10.1016/j.eswa.2018.02.033). Tang, Kun, Shuyan Chen, Zhiyuan Liu and Aemal J. Khattak. A tensor-based Bayesian probabilistic model for citywide personalized travel time estimation. Transportation Research Part C: Emerging Technologies, 90, 2018 (p 260-280). (https://doi.org/10.1016/j.trc.2018.03.004). Zhao, Shanshan and Aemal J. Khattak. Factors associated with self-reported inattentive driving at highway-rail grade crossings. Accident Analysis and Prevention, 109, October 2017 (p 113-122). Zhao, Shanshan and Aemal J. Khattak. Injury severity in crashes reported in proximity of rail crossings—the role of driver inattention. Journal of Transportation Safety and Security, June 2017 (https://doi.org/10.1080/19439962.2017.1323061). Iranitalab, Amirfarrokh and Aemal J. Khattak. Comparison of four statistical and machine learning methods for crash severity prediction. Accident Analysis and Prevention, 108, September 2017 (p 27–36). Kang, Yashu and Aemal J. Khattak. A cluster based approach to analyze crash injury severity at highway-rail grade crossings. Transportation Research Record 2608, Journal of the Transportation Research Board, 2017 (p 58-69). Naik, Bhaven, Li-Wei Tung, Shanshan Zhao and Aemal J. Khattak. Weather impacts on single-vehicle truck crash injury severity. Journal of Safety Research, 58, September 2016 (p 57-65). Lee, Myungwoo and Aemal J. Khattak. Application of Light Detection and Ranging technology to assess safe passage of low-ground-clearance vehicles at highway-rail grade crossings. Transportation Research Record 2545, Journal of the Transportation Research Board, 2016 (p 131-138). Zhao, Shanshan, Aemal J. Khattak, and Eric C. Thompson. Safety and economic assessment of converting two-way stop-controlled intersections to roundabouts on high speed rural highways. Journal of Transportation Research Forum, 54(1), 2015 (p 131-144). Tung, Li-Wei and Aemal J. Khattak. Distracted motor vehicle driving at highway-rail grade crossings. Transportation Research Record 2476, 2015 (p 77-84). Gyawali, Sunil, Anuj Sharma, Aemal J. Khattak, and Edward Smaglik. Use of decision assistance curves in advanced warrant analysis for indirect left turn intersections. Transportation Research Record 2486, 2015 (p 54-63). Zhao, Shanshan and Aemal J. Khattak. Motor vehicle drivers' injuries in train–motor vehicle crashes. Accident Analysis and Prevention, 74, January 2015 (p 162-168). Khattak, Aemal J. Investigation of train warning times and gate violations. Transportation Research Record 2458, 2014 (p 104-109).